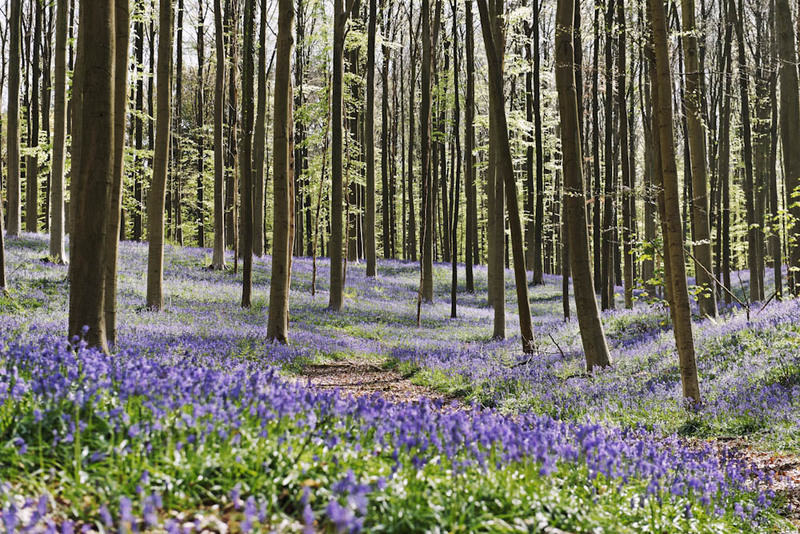 Wild bluebell hyacinths in Hallerbos, Belgium. In Flemish Brabant province, 30 minutes south of Brussels. 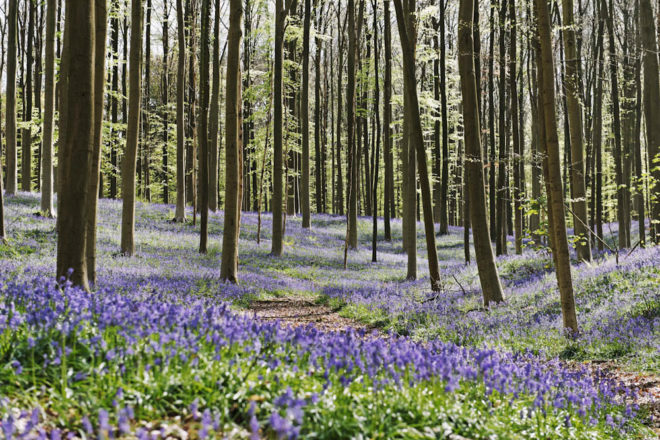 Translated in English as ‘Halle’s Wood’, this 552-hectare forest is famous for its wild bluebell hyacinths that carpet the forest floor in a vivid blue–purple from mid-April. During World War I, the original Hallerbos was largely destroyed; major regeneration took place from the 1930s to the ’50s to reintroduce the native beech and oak trees. Visitors can get a free walking map at the Halle tourist office and explore the vibrant forest via the marked walking trails.